I need your help with a mattress choice. I was in Bloomingdales (they are ridiculously expensive) but saw a Stearns & Foster that I liked. It was called (by Bloomingdales) the Lux Estate “Saint Sulpice” and seemed to feel very nice. However it is too expensive for me and I want to lay on something in the store before I order from you. I need something that is firm support but I need some cushioning on the top without sinking in. I saw that you recommend the “Twila” or the “Heidi” — are either one of those the “Saint Sulpice”?? If not, what are they called in Bloomies so I can lay on them with my hubby??? 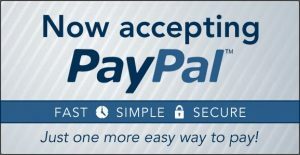 Please advise – you are the ultimate expert!!! Once I choose, can I just call you to order it? I would appreciate any help you can give!! 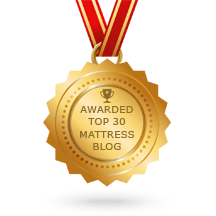 It’s not like the old days, when you tried a mattress and you could be assured of the quality…that the mattress you tried would feel that way for many years. Today’s mattresses don’t feel like they did when new, only months later. So, trying the mattress before buying tells you only how it feels when new. You assume quality that is no longer there. In short, it’s a worthless exercise….an exercise in futility is what it amounts to. The S&F line is transitioning from old to new. The Heidi and Twila models are still available to me, but not to the stores that have the new line. The high point of the Heidi and Twila was that neither had any memory foam. Last year, Sealy/S&F was purchased by Tempurpedic. Every mattress in the new line has memory foam in it. We had recommended the firm models of Heidi and Twila with a soft latex topper. Latex is the most resilient material available. The latex topper we use at home is now 5 years old and still like new. It’s the latex you turn to for long lasting comfort. 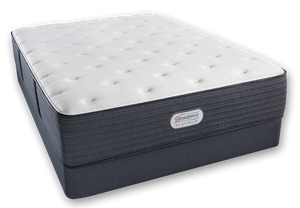 The mattress we recommend today is the Simmons Beautyrest World Class Annapolis Place in Luxury Firm, with the 2″ soft Talalay Latex Topper. The memory foam used by Simmons is far less temperature sensitive and much more resilient than the memory foam used in the S&F models. Also, the individually pocketed coil system used by Simmons is superior to that used by Sealy/S&F….in a number of ways. The models names are different at most stores, but the Annapolis Place is the starting model in the World Class Series. Every Simmons dealer will have it by a different model name. But again, to try it tells you little. You will likely find it to be firmer than what you think is comfortable. It provides proper support for your spine. It’s the latex topper that you will make it comfortable….and you aren’t likely to find both at any store. Here are the links to that Simmons mattress and to the latex toppers.